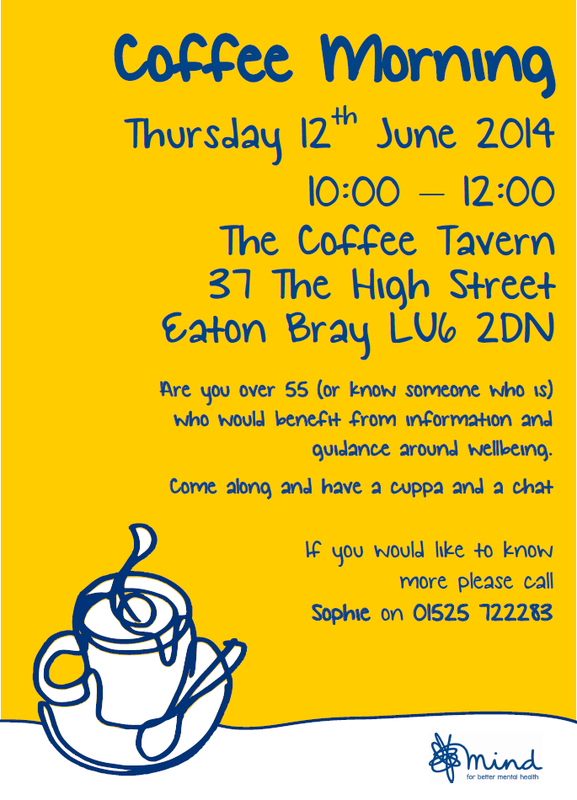 Archives of Eaton Bray News for June 2014. This article was published in June 2014. Please see Latest News for more recent information. 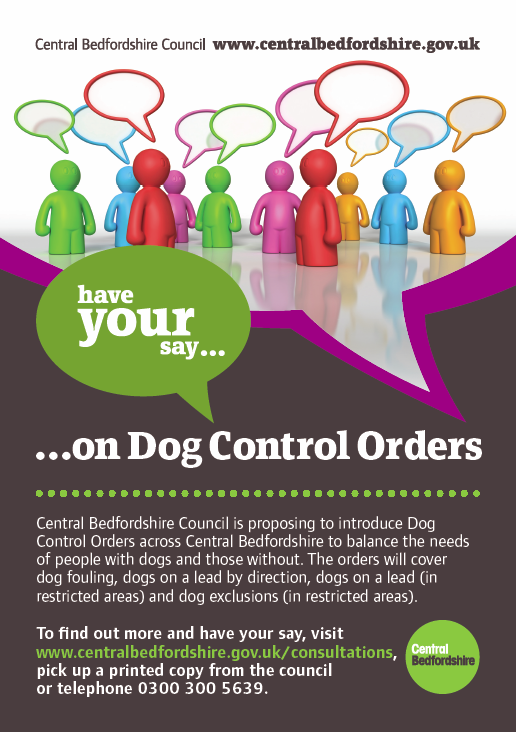 Central Bedfordshire Council is proposing to introduce Dog Control Orders across Central Bedfordshire. These will balance the needs of people with dogs and those without. The Orders will cover dog fouling, dogs under control and dog exclusions (in certain areas). A public consultation is being held regarding the Orders and the council would welcome your views and comments on this. The consultation runs until Monday 28 July 2014 and the associated documents and maps can be seen here: www.centralbedfordshire.gov.uk/council-and-democracy/have-your-say/ (Click on 'Dog Control Orders Public consultation'). Two Eaton Bray cricketers are embarking on a five day marathon of golf in aid of Cancer relief. Bob Warner and Andy Norris are aiming to play 5 rounds of golf in each of 5 different countries over the next five days. During their 25 rounds, they expect to walk over 125 miles, burning 60,000 calories and taking more than 4000 shots! 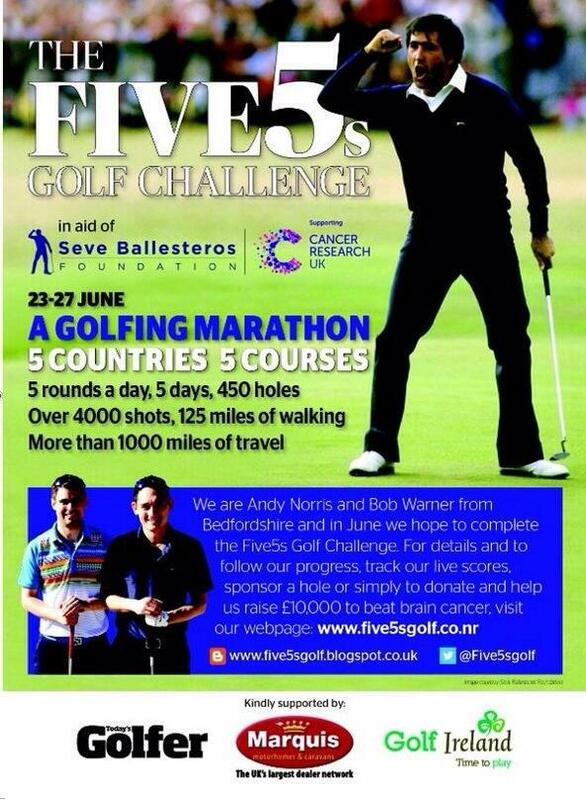 Please follow them on Twitter - @Five5sgolf - and give your support with a donation on the Five5s Golf Challenge Cancer Research fundraising page. NOTICE IS HEREBY GIVEN that the Central Bedfordshire Council intend not less than seven days from the date of this Notice to make an Order the effect of which will be to prohibit any vehicle from proceeding along The Orchards, High Street and Moor End, Eaton Bray and their side roads while the procession is passing. This temporary closure is required to facilitate the holding of the Village Carnival procession and shall apply to such extent as may from time to time be indicated by the appropriate traffic signs. Continue along Dunstable Road to Church End, Totternhoe, turn left onto Castle Hill Road, turn left onto Stanbridge Road, turn left onto Totternhoe Road and continue onto High Street and vice versa. The proposed Order will come into operation on 5th July 2014 for a period of one day. Bedfordshire Police have been contacted by a local resident who very nearly became a victim of a telephone scam. A caller, claiming to be a BT Technician has reported issues with the broadband connection, suggesting that there may be a fault with the computer. After a number of conversations the caller has offered to fix the problems by remotely logging into the computer. At the point where the caller has asked for payment details the resident has become suspicous and has ended the call. Whilst the resident has not lost any money they have had to contact their bank, broadband supplier and get their computer checked. These callers are both persistent and convincing. If you are called by anyone claiming to have information about your broadband or home computer remember the following. Genuine BT staff do not recite account details over the phone. 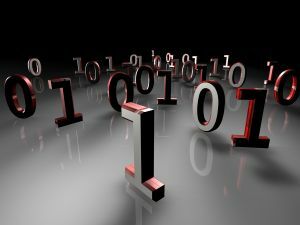 Do not let a caller remotely access your computer - this may lead to personal data being captured. Never give bank details to an unsolicited caller. If you think that you have been a victim, run a virus scan, alert you bank and contact Action Fraud to report the scam. In an attempt to help reduce the speed through the village we are going to start a Speed Watch campaign supported by Bedfordshire Police. Some of you will have seen this done through Billington with great success and so we are looking for volunteers to assist Councillors and give just a few hours from time to time to the operation of the campaign. You will be given full training by Bedfordshire Police and will be instrumental in our goal to help reduce speed through our village and make it a safer place. If you would like to be part of this please contact, Councillor Mark Tomkins. Are you over 55 (or know someone who is) who would benefit from information and guidance around wellbeing. 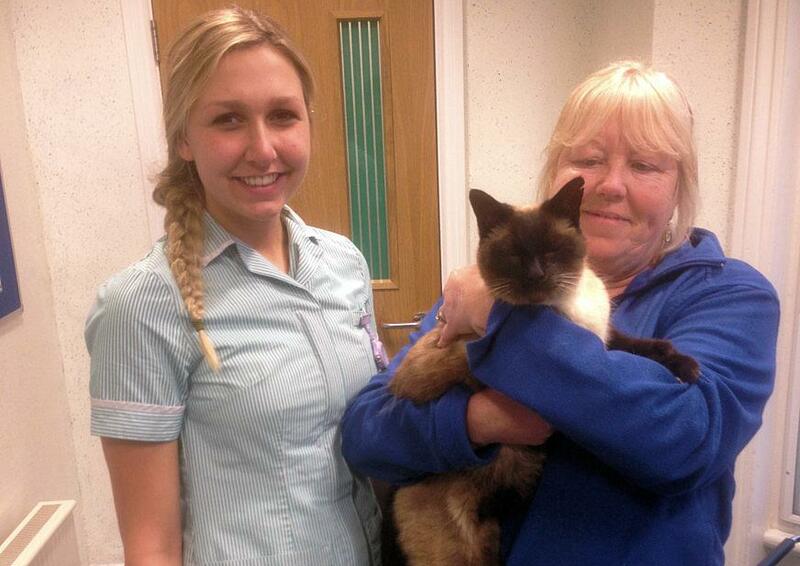 A nomadic cat called Tim who had lived as a stray for three years after supposedly climbing aboard a lorry headed for Hemel Hempstead has been reunited with his owners. Tim was being fed by a Hemel Hempstead woman who contacted Eaton Bray-based petsitter Nina Cole of Nina's Nannies for Pets to help trace its owner. Nina was able to organise temporary foster care for the cream and brown moggy, before Barton Lodge Veterinary Centre confirmed he was microchipped... and originally from Edgware in London. Tim is thought to have boarded a lorry in Edgware three years ago which took him to Hemel Hempstead. Since then he had roamed free in the town, and by chance his owners have since moved to Hertfordshire and were tracked down in Stevenage. Nina said: "Within an hour his owners were located and they were reunited that evening. Without the microchip Tim most certainly would never have been reunited with his owner, which emphasises how important it is to microchip your pet." "Travelling Tim" is now safely home with his original owners. You are viewing the June 2014 archive.